Frutti Hielo is a great place to hang out and try something new. 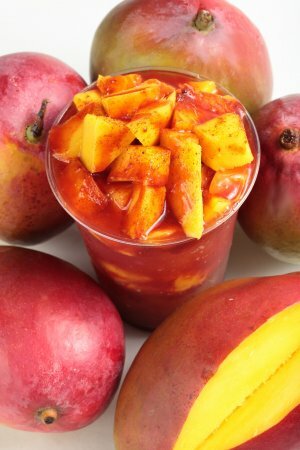 An ice-cold Mangoneada with freshly chopped Mango. Our regular customers enjoy their Raspados on a Saturday afternoon. Soaking Chamoyadas de Tamarindo in Chamoy Sauce. A hungry customer sits down with some nachos and jalepeños. Carlos Avalos Jr. shows off his pepino split. Carlos Avalos Sr. enjoys a great-tasting cup of Churros Locos. Frutti Hielo serves Raspados, made with shaved ice and real fruit. Raspados are fruity and icy "Mexicali-style" snow cones (Frutti Hielo means "Fruity Ice"). 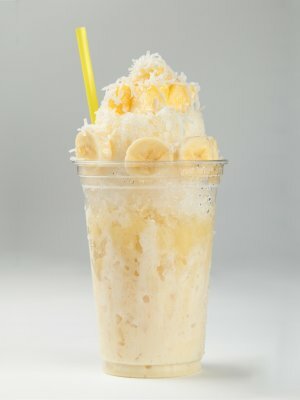 We like to top them with freshly chopped fruit, shredded coconut and sometimes even spices. We're on Saviers Road in Oxnard, on the corner of Saviers and Elm Street (between Five Points and Channel Islands Blvd). 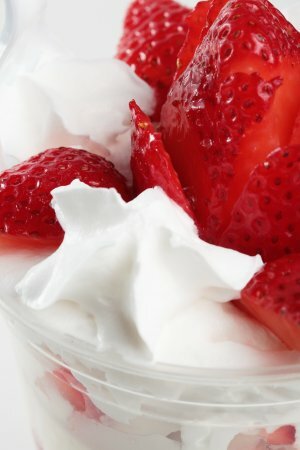 At Frutti Hielo it's snack time all the time. We're open 12:30pm to 8:30pm, Monday-Friday and 12:30 to 8:00 Saturday. Stop by for a fresh and cool treat the next time you're in the area. And we make a lot more than just Raspados. 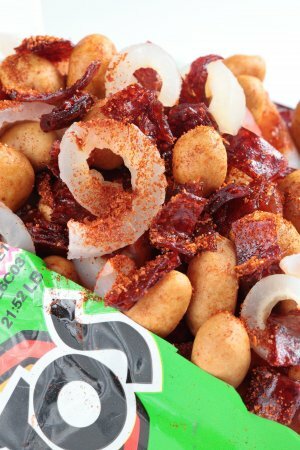 We serve a variety of wild and spicy snacks, like Churros Locos, Tostilocos, and prepared fruit dishes such as our Pepino Split and Bionico, See our menu for our full selection, including Raspados Naturales, Raspados de Leche, Raspados de Chile, Frutas Preparadas, Chamoyadas, and Antojos (Snacks). "El Lado Fresco de la Fruta" is how we like to describe our Raspados. It means "The Fresh (and Cool) Side of Fruit." We like to chop our fruit fresh, right when you order it, so you get the best-tasting, fruitiest Raspado every time. And we shave the ice while you watch, too. We want it to be light and crispy like a snow flake when you take your first sip. The next time you're in the mood for a snack, and you want something that's cool and fresh, Frutti Hielo is the place to be. The Avalos Family is behind the unique taste and authentic Mexicali flavors of Frutti Hielo. 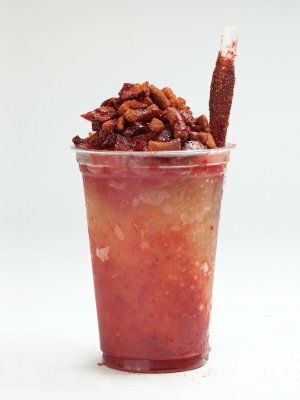 They're the first to bring Raspados to Oxnard full-time. Frutti Hielo is at 1720 Saviers Road in Oxnard. Get map and directions. It's a fun place to bring your family and friends. Your Raspados are here waiting for you. We've got plenty of toys to keep the kids entertained. Kids love Raspados. They make a perfect after-school snack. In our kitchen, we make Raspados with authentic flavors and ingredients that come straight from Mexicali. © 2019 Frutti Hielo. All Rights Reserved. Website design by Andy Malmin.